For many, the Electronic Entertainment Expo (E3) last week was exciting, with announcements of Halo 5 and a Final Fantasy VII remake. 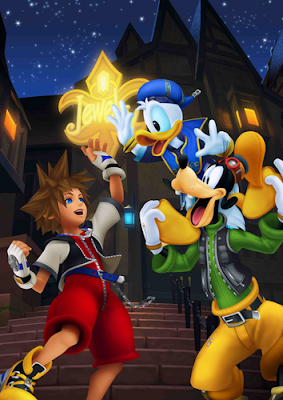 But it was exciting for another reason: news about Kingdom Hearts III. 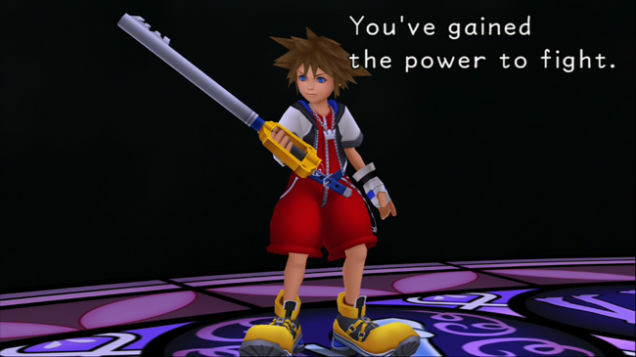 The Kingdom Hearts franchise started out in 2002 with the first video game titled... well, Kingdom Hearts. 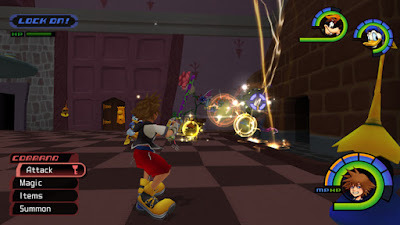 The game mixed elements of the Final Fantasy franchise with Disney characters, taking two completely separate worlds and blending them together in a seamless new one. We were introduced to a character named Sora, a boy whose only mission is to find his friends Riku and Kairi. With the help of Goofy and Donald (yes, that Goofy and Donald), Sora goes across countless worlds and meets new characters, Final Fantasy and Disney alike. The game will contain new characters, new worlds (such as the one from Tangled!!! ), and improved gameplay. It’s going to be fantastic. 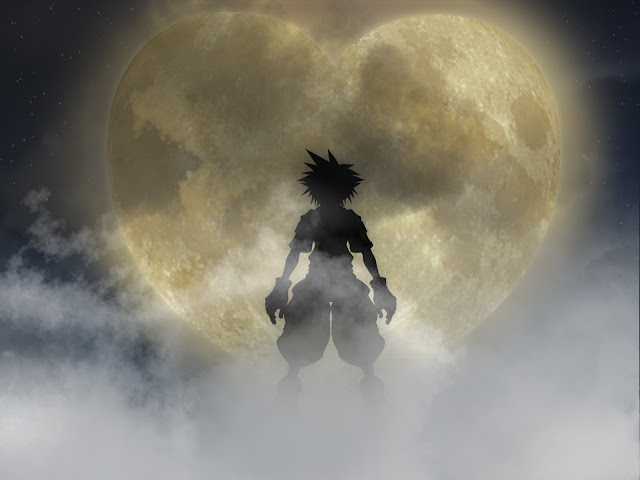 I’ve been acquainted with the Kingdom Hearts series since I was 9 or 10. Our friends introduced us to it and I fell in love. 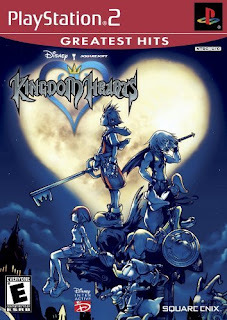 I’ve played the first game through once, but I’ve watched my dad and brother beat Kingdom Hearts I & II countless times. The first game in particular has a very special place in my heart, and because of that I’m here to bring you 5 reasons why you should check it out. For purposes of this post, I’m going to be talking about the first and original game, but I’m pretty sure any game in the franchise is something you should look into. Kingdom Hearts is an RPG (Roleplaying Game) and because of that, you are put in the position of the protagonist. While Sora is the one on the screen, it’s incredibly easy to lose yourself in these worlds. There is a storyline that unfolds as you play. It feels like you’re really the one having a grand adventure, and I think that’s incredible. This is from Kingdom Hearts 2.5 Remix, but I had to use it. Who doesn’t want to battle darkness across multiple worlds? Kingdom Hearts allows you to do just that. It’s mainly a combat game, where you fight dark monsters with your weapon (a Keyblade). However, it isn’t limited to just that. You’re able to fly a ship through space, talk to people, make choices, and watch the story unfold. Kingdom Hearts is set in multiple Disney worlds, including but not limited to Agrabah (from Aladdin), The Coliseum (from Hercules), and Atlantica (from The Little Mermaid). You get to meet the protagonists of these worlds and aid them in quests. You also have Goofy and Donald by your side. Despite the inclusion of Disney elements, Kingdom Hearts is still incredibly complex and multi-faceted. At its core it is childlike, but it’s still engaging enough for anyone of any age. It’s everything I could ever ask for. 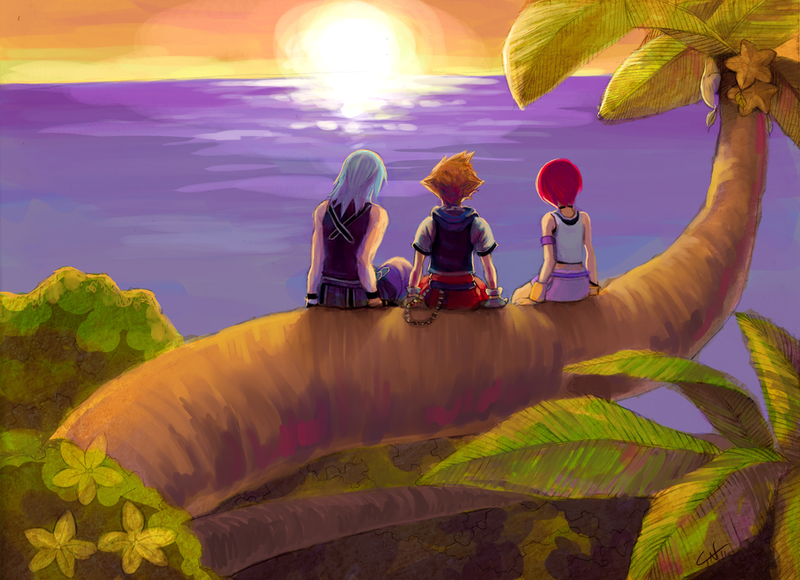 At its core, Kingdom Hearts is a story about friendship and loyalty. The story is engaging and heartwarming and the video game is worth it just for that. While video games are a less-explored story medium in our culture, I’d like to argue that video games are just as valid as TV shows and books. They contain storylines and lovable characters that I miss when it’s over. But the best part is… I get to play it over again. Have you played Kingdom Hearts? What qualities make you have to play a video game?